CSA approved explosion proof for use in hazardous applications, the loop powered field meter displays engineering units connected in series with one 4-20 mA transmitter. 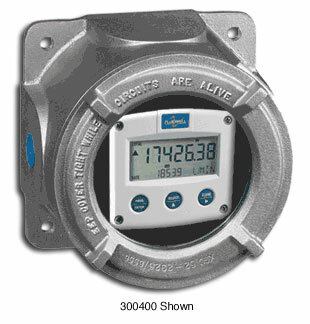 The meter is typically selected for use with an explosion proof transmitter within a hazardous area. The windowed field enclosure is wall mounted for convenient viewing.